The Horizons4Girls therapy dog, Faith, will be available for children to read to her at Mead Public Library. 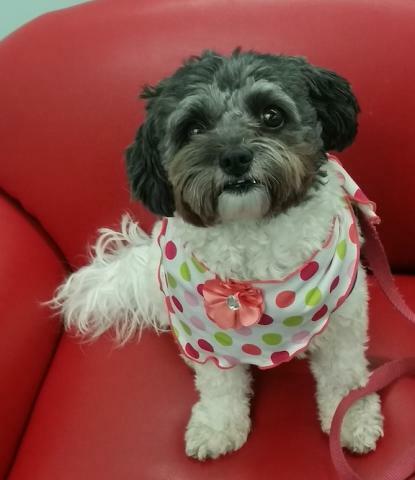 Faith is a "Teddy Bear" dog, a Shih Tzu/ Bichon Frise mix. Children of all ages may drop in and meet Faith and read her a story. Sometimes children who are self-conscious when reading in front of classmates can relax when they read to a dog, and they associate reading with something fun and pleasant. Many children just enjoy the opportunity to be with a dog and read a story. Faith will be in the Story Garden at the library from 6 to 7pm on the following Tuesdays: September 12, September 26, October 10, October 24, November 7, November 21, December 5, and December 19.